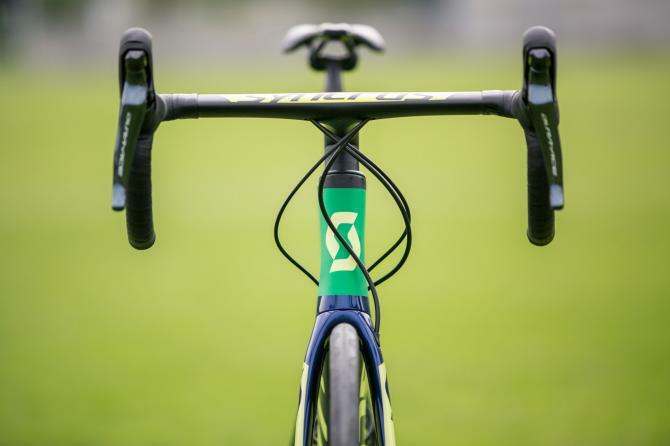 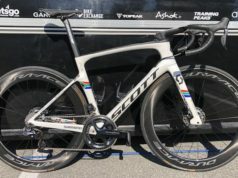 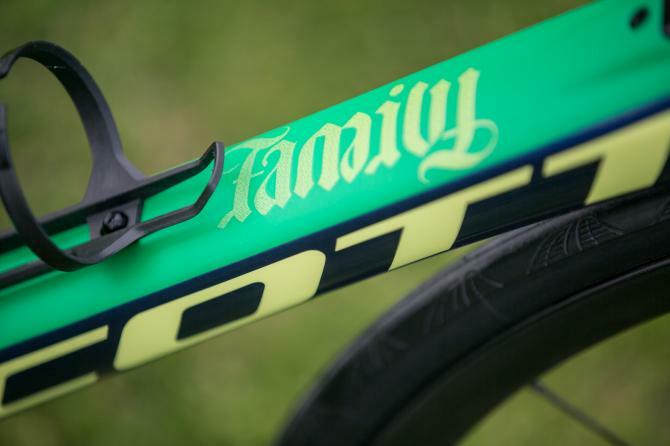 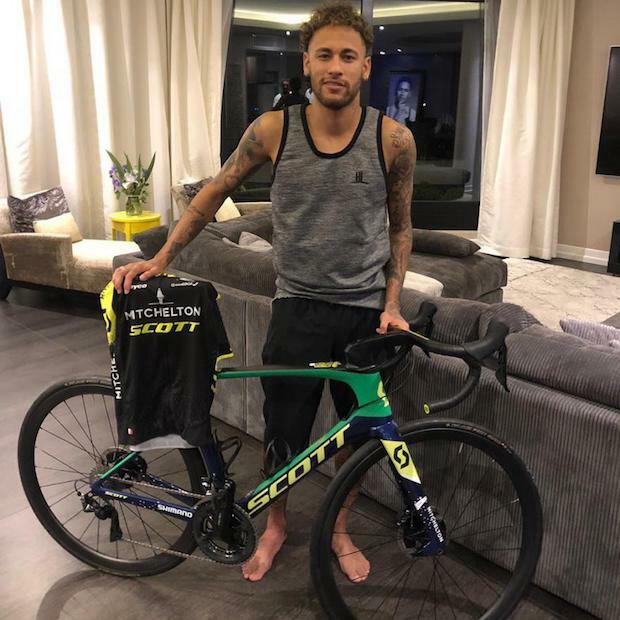 Brazilian football star Neymar Jr. received a custom Scott Foil complete with personalised quotes and his team’s national colours on the frame to help with his rehabilitation. 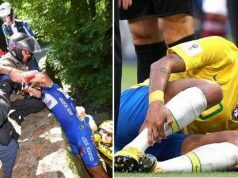 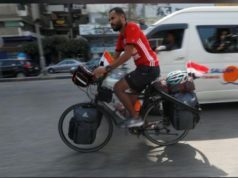 With less than a month to go until the FIFA World Cup in Russia, Neymar is currently is cycling for rehab at least one hour each day after he broke a metatarsal back in February. 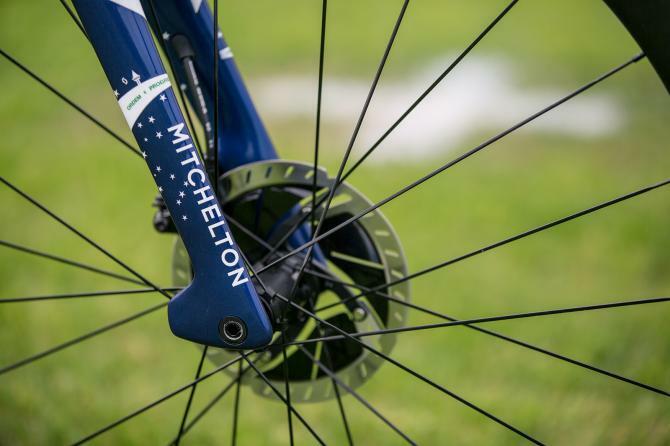 The special edition Foil Disc was presented to Neymar by Mitchelton-SCOTT mechanic David Fernandez in Paris, with the team’s logo and plenty of personal touches for Neymar himself. 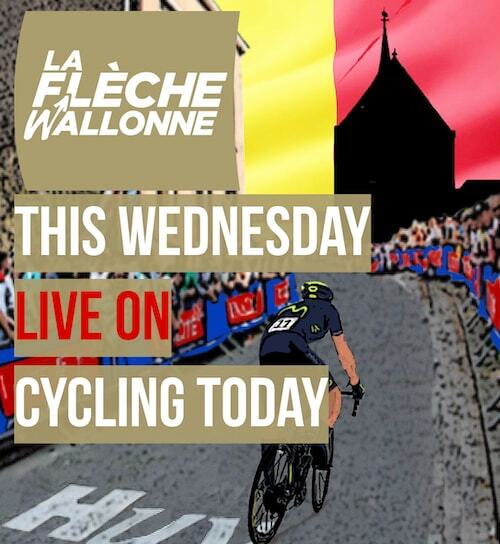 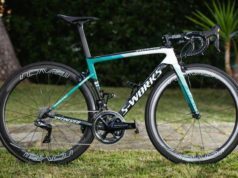 The bike comes with a full Dura-Ace 9150 mechanical groupset, Syncros Aero Wheels, Syncros RR1.0 saddle and custom Continental Gran Prix 4000 tyres with gold logos. 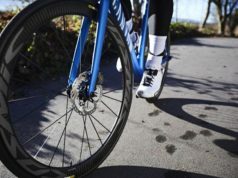 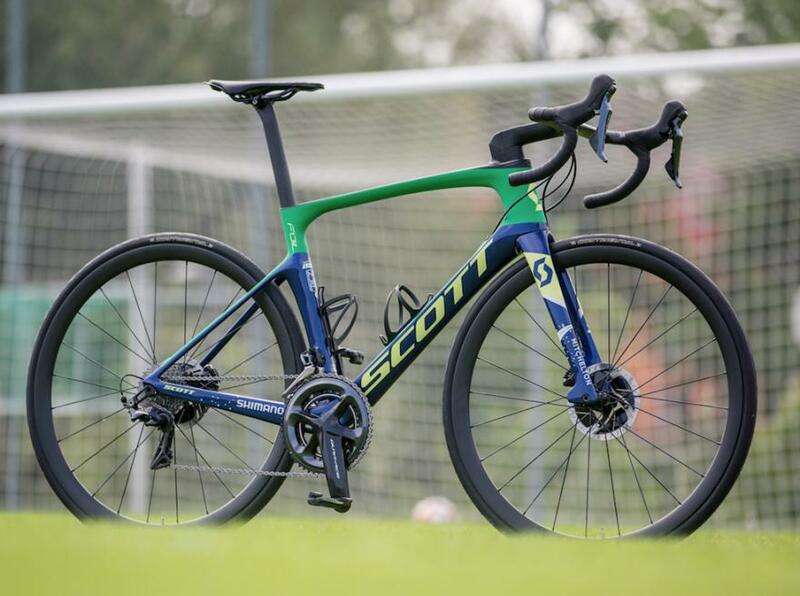 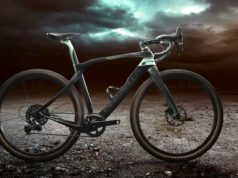 The highest spec off-the-shelf Scott Foil Premium Disc available to the public comes with Zipp 303 wheels and the Di2 electronic version of the Dura-Ace groupset for a whopping €12,500.